Magswitch Technology uses active shunting technology focusing on true ON and OFF magnets. Because of this fail-safe technology, it can be successfully applied in numerous industries such as welding, fabrication, woodworking, manufacturing, shipbuilding, automation and robotics. 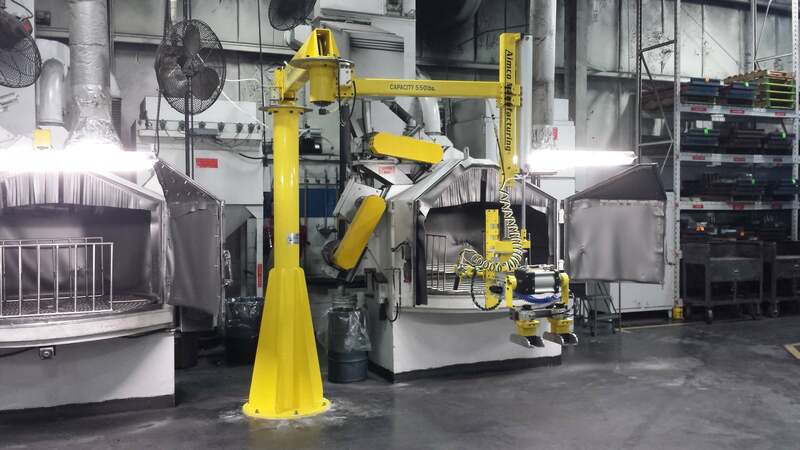 Offering unique capabilities and significant improvements to end of arm tooling, pick-and-place, body-in-white and many other applications, the powerful and lightweight tools in our automation line make it possible to implement magnets where they weren’t previously applied. Our Welding & Heavy Fabrication tools are engineered to drive productivity for professional welders and fabricators. The true ON and OFF capabilities of Magswitch tools create a platform that is more efficient, faster, safer and easier to us in numerous day-to-day applications. Magswitch magnetic drills drive speed, productivity and safety, all in one. It is built with safety in mind. In event of power failure, the Magswitch magnetic base will not fall. MagDrills feature superior performance on a wide range of steel and work well with flat and contoured surfaces. Magswitch products are designed to handle flat, round, pipe, hot and dirty steel safely. Our material handling and alignment products drive speed, efficiency and productivity in shipyard applications, city jobs, military applications and much more! At Magswitch, our lifting tools are the solution for your heavy lifting, plate handling applications, sheet alignment and de-stacking sheets. Our tools eliminate time consuming handling of hooks and chains! With Magswitch patented magnetic technology, we have created woodworking products & tools that make projects faster, easier to use and safer. Our workholding system built around Magswitch ON/OFF magnetic clamps provides strong, precise placement anywhere on any steel table.